What exactly is the first thing that comes to your mind when you read about an Italian Affair? I will allow you to let your imagination run wild and at the end of this post, you will have realized the true meaning of this sentence. 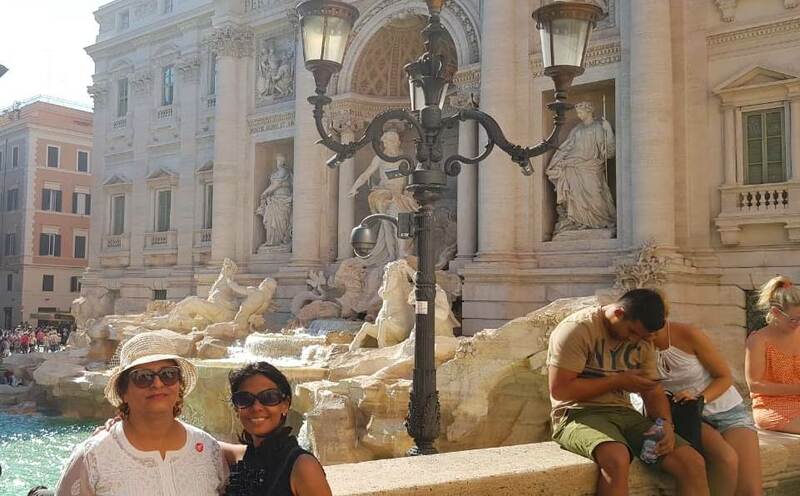 In this thrown back post of My Roman Holiday, I had mentioned that I had tossed a coin in the Trevi Fountain in Rome and was waiting for my assured trip back to Rome. As expected, it finally came true and I am here to post a picture and write about it. I visited Rome with another friend and again tossed the coin! But no, next time I am not going to write about it! No matter how many times I may visit Italy, I am sure to be awestruck and spellbound by it’s beauty. This time however, my main focal point of visiting Italy, was to visit the Tuscan region. Oh I absolutely love Tuscany. And I know that I will again visit Tuscany for a longer period of time. The movie was just a tiny window arousing my curiosity. It enticed me into finding out more about Tuscany. I read up about the region, I searched the internet for more information and pictures and that did the trick. 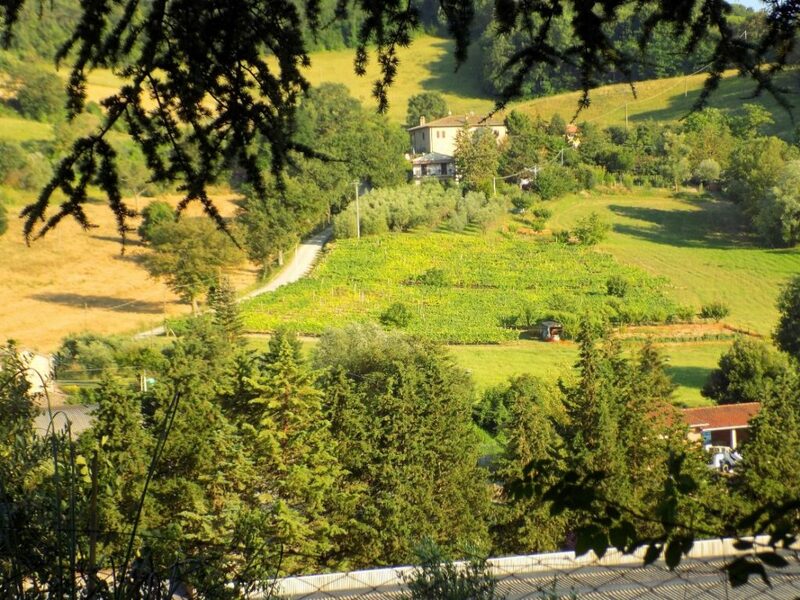 I knew I was in love with Tuscany even before I could see it for myself! An Italian Affair! From the glories of Renaissance Florence, with its wealth of artistic treasures, to the golden landscape and hilltop towns of the Tuscan countryside; from the terraces of the Chianti and Montepulciano vineyards to Pisa’s notorious Leaning Tower and Siena‘s scallop-shaped piazza: this is a region that has fed the imagination and delighted the senses of countless visitors for many years. I had read so much about the rolling hills of Tuscany, that when I finally got to see it, my eyes and my heart couldn’t get enough of it. I was in love! with Tuscany. An Italian Affair to remember! Tuscany consists of many towns/cities like: Florence, Arezzo, Pisa, Siena, Cortona, Montalcino, Montepulciano, Pienza, Pistoia, San Gimignano, San Miniato, Castiglion Fiorentino, Certaldo, Chianciano Terme, Lucca and many many more. I have visited a few of them, but my favourite out of all of these is without a doubt: Montepulciano. 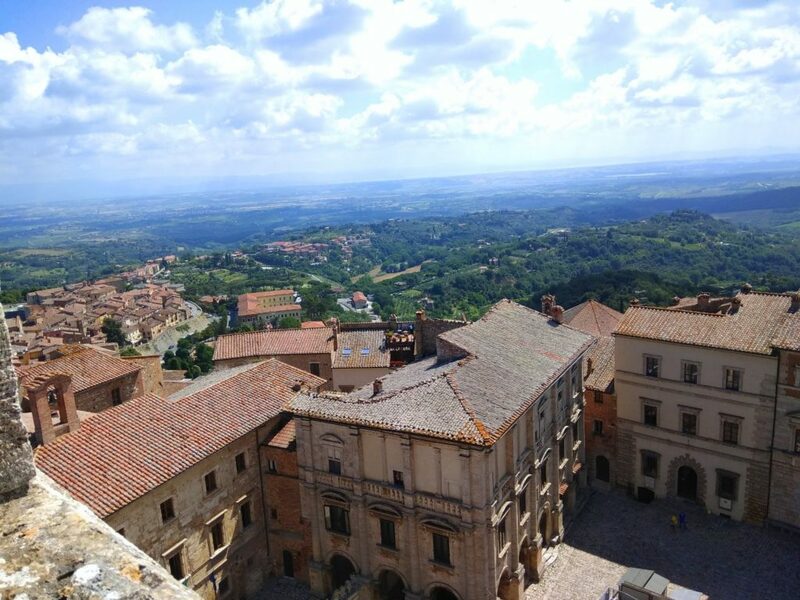 I shall be dedicating a separate blogpost on Montepulciano. Then there is also the Chianti region, Tuscany’s Famous Wine Region. Tuscany is located in the center of Italy. In the center of Tuscany, between Florence, Siena and Arezzo is Chianti, a charming hill-covered region surrounded by the main “art” cities in the region. I read somewhere that Rome is synonymous with romance, it’s all in the name, as if you reverse the word ‘Roma’ (the Italian word for Rome) you get ‘Amor’ – meaning love. But I would go one step further and say that Italy is synonymous with romance. Everywhere you go, you can’t help being mesmerized and captivated by the stunning sights, the busy Piazzas, the splendid sunsets, the panoramic views, the picturesque villages, the sprawling vineyards, the endless Sunflower fields, the colourful market places, the sun-drenched mountains and the ever enchanting countryside. I even heard of there being ‘The Tree of Love’ somewhere in Lucignano. This has truly been an affair to remember! Tell me what you thought about my post and keep sharing your travel stories here! I will be back soon with another post on my Italian Sojourn. This post makes me want to return to Italy immediately. Thank you so much for the inspiration. If you’re looking for some destinations/activities beyond, feel free to check out my blog: amcstravel.com. Ha!Ha! Thank you Alison, I hope you do return to Italy, it has completely smitten me. Thank you for sharing your blog link, I have gone through it a bit and am surely going to go through it at leisure. Particularly liked your post on keeping a travel journal.. I so much agree to that! Thank you Raul C 🙂 It surely very exciting and you will not regret it. Thanks a lot Maria,u had searched and studied inner pàrt of region and we visited there I feel like to go again to italy and my two sons are eager to go there it has not happened without u .I think though who will read this will run to Italy totally different culture fill with love and affection. Thank you Manjiri..We both had a great time and I really enjoyed traveling with you and look forward to more such travels with you.